The story of how Cascadia’s Birthday & an Anniversary of Mount St. Helen’s eruption married on one day is the doing of one man! It seems only appropriate that the same person who popularized the term ‘Cascadia’ would determine it’s Birthday & an Anniversary. 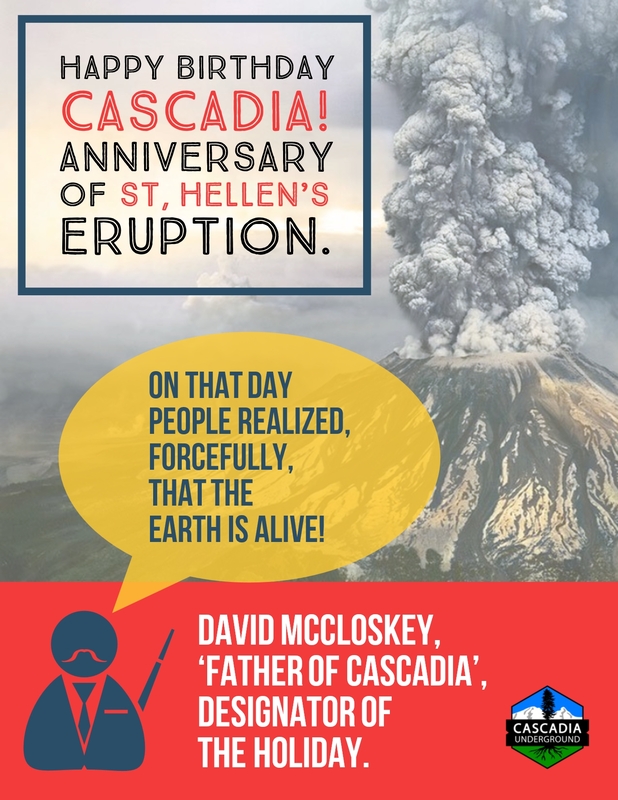 Professor David McCloskey chose the eruption of St. Helens as the Birthday of Cascadia because of the leap foreword the cataclysmic event had on the advancement of science. Also, for the impact it had on the Cascadian populace to pivot their awareness towards the power of the earth.